Surveys show that many children continue to fall below the recommended physical activity and exercise guidelines. The government recommend that children between the ages of 5 and 18 should be doing 1 hour minimum of exercise every single day. This should include at least 3 sessions of vigorous physical activity each week to maintain healthy body growth. It is sometimes difficult to either fit this activity in, or monitor how much exercise children are getting at school. We are all aware of the problems that technology poses to an active lifestyle, so it is important to stop and think about how much exercise your child is actually getting. “Children’s physical activity levels in England are alarmingly low, and the drop in activity from the ages of five to 12 is concerning,” Public Health England’s Eustace de Sousa told the BBC. Television, video games, travelling in cars… they are all so useful in their own way, but they can severely reduce a child’s activity and it is not realistic for schools to timetable PE into every day. Do you drive to and from school before a relaxing evening of minimal exertion? 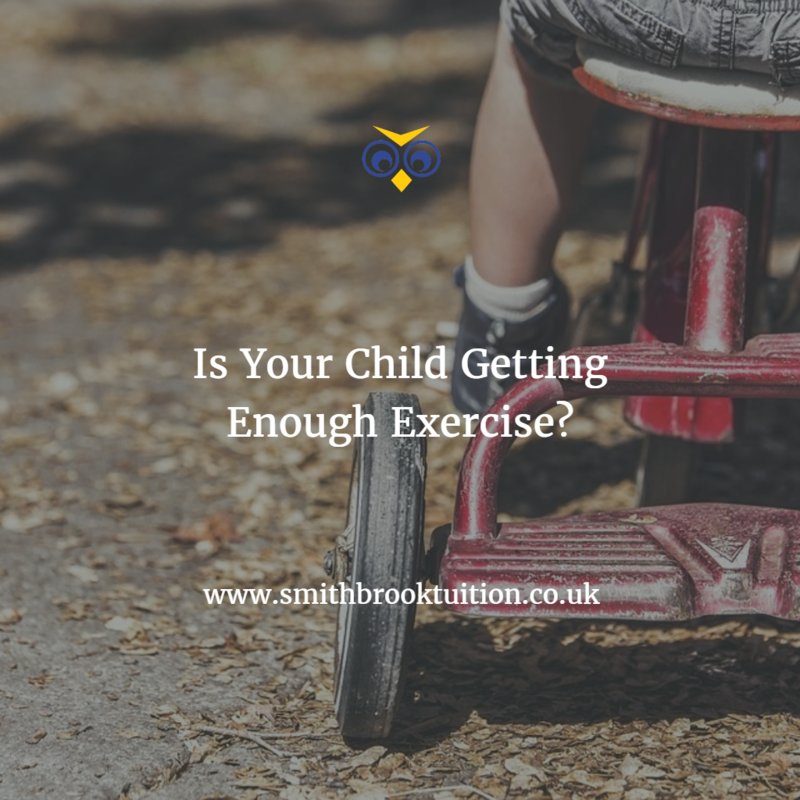 If so then it might be the case that your child is, in fact, not getting a MINIMUM of 1-hour exercise each day. How can you get more moderate exercise with your child? Walking to school may be feasible for many people especially during the warmer months. Taking that 20 minute or half hour walk to and from school will guarantee that your child is getting a decent amount of exercise. Hobbies provide another ideal way to get a child excited to be active. Roller blading or skateboarding create perfect opportunities to raise that heart rate and get the aerobic system working a touch harder. It is quite easy to tell if moderate exercise is occurring, a normal walking pace, gentle cycling or playing the park should increase breathing and heart rate while still being able to talk comfortably. How can you get more vigorous exercise with your children? Vigorous physical activity is important to help strengthen muscles and bones for children and adults. For vigorous activity, it is recommended that a minimum of 3 1 hour sessions should be done each week. For some children, this is easily achieved, for example, if your child plays for the local football club it is likely there will be a training session and a match each week… bingo, sessions done. Maybe think about going swimming for another hour, it is an easy way to get exercise, have fun and learn another life skill. It is easy to tell if vigorous activity is occurring as heart rate and breathing will increase to a level where it is hard to talk without pausing for breath. Muscle training may also count as vigorous but it is important for younger children to be monitored. It can be unhealthy to use heavy weights and machinery. Instead, try to use bodyweight exercises which help to strengthen and develop body control. Games like tug of war, monkey bars, rope climbing and rock climbing are an exciting way to get stronger. 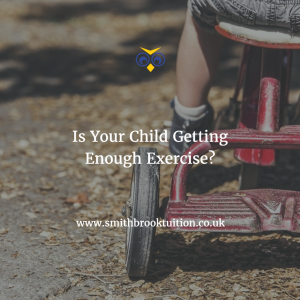 Is your child getting enough exercise? Get involved with the conversation at Smithbrook Tuition on Facebook or Instagram.